The Kwido platform will be one of the stars of the 2014 Medicine 2.0 Europe congress – the world-wide landmark event in the eHealth sector, which will be held this year on the 9th and 10th of October in Torremolinos, near Malaga. Iñaki Bartholomew, the CEO of Ideable Solutions, has been invited to give a lecture on Playing Games for Combating Cognitive Impairment on the 9th of October at 11:50 in the Sala Alhambra at the Sol Principe Hotel, where he will share our Kwido experience with the conference attendees. Last year we were part of the 2013 Medicine 2.0 congress held in London where we presented the home-based care part of the Kwido platform at the event that marked our international launch. This year we will present our new solution for improving people’s day to day life: cognitive stimulation. We want to show the specialists at the congress the cognitive stimulation platform that we have developed alongside psychologists and geriatricians; a platform which manages to bring a method of cognitive stimulation already proven successful on paper to different media platforms (tablets, digital whiteboards, digital screens, etc.). Kwido’s cognitive stimulation is an integral platform which, via the control and management of psychologists and geriatricians, enables the prevention and slowing down of cognitive deterioration in elderly people, who can perform training exercises designed specifically for each user. Afterwards, medical professionals can monitor the data in order to evaluate the user’s performance and to keep them and their families informed of their progress. 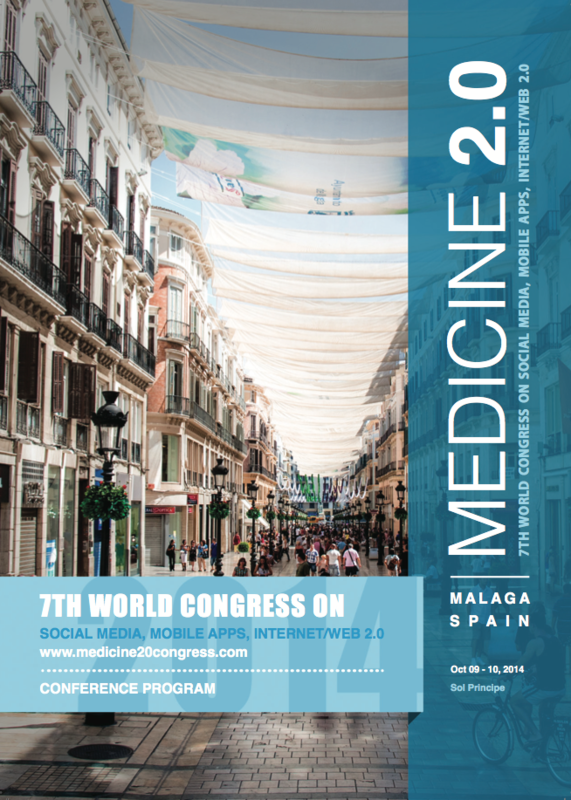 Malaga is the chosen location for the seventh World Congress on Social Media, Mobile Apps and Internet/Web 2.0 in Health, a global landmark event in the field of eHealth and mHealth which last year saw more than 500 attendees come together for its 2013 event in London. The Medicine 2.0 2014 programme comprises a series of conferences hosted by experts which will demonstrate how new technologies can be the solution for maintaining our health system and enabling a healthy and active life, as well as how they are already transforming the practice of medicine and the relationships between patients and healthcare professionals.